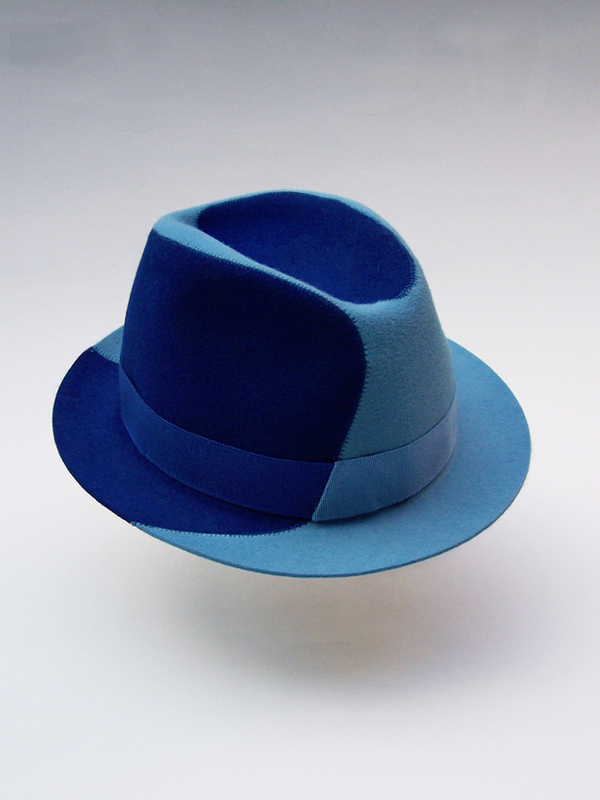 'Il Cappello della Luce' is a collaboration between Henny and one of the finest hat makers in Italy, Barbisio. Inspired by the film-noir style comics namely Frank Millers's Sin City, Henny worked closely with this artisan company to produce a fur felt hat that takes a play on the traditional trilby. In these comics the man of significance wear hats to define their expression. The style of drawing with strong contrast in light and shadow was translated in to a line of high quality fur felt trilby hats. 'Il Cappello Della Luce' was presented at 'Three Yet One', a group exhibition coinciding with the London Design Festival 2009.